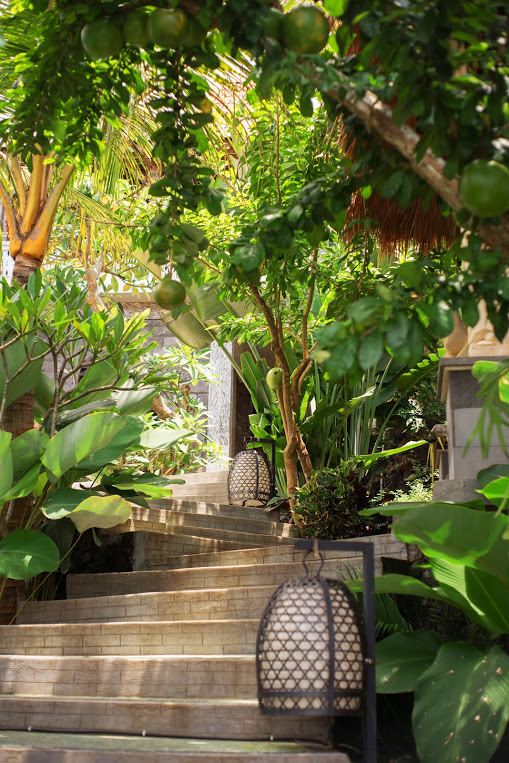 Just an hour from Bali’s airport or the busy tourist areas of Kuta and Seminyak you can escape to a place of dream. 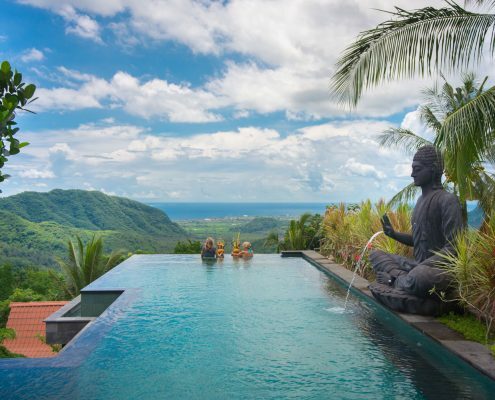 Somewhere different,Somewhere peaceful, Somewhere sensational . 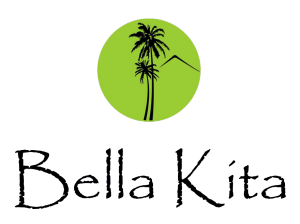 Bella Kita or “Our beautiful” Mountain Retreat & Spa is the dream of a local Balinese man who grew up with his family in the village of Besan just below the retreat. 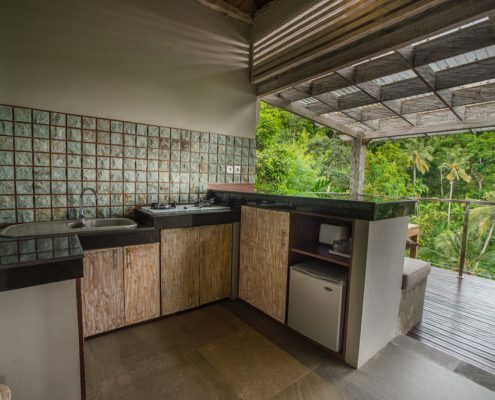 For many years Dicky lived and worked in hospitality in Legian and Kuta earning a living. Thirty years later,after becoming a successful business man and travelling to many places around the world, Dicky returned with a vision to open up opportunities for his family and friends within his home village. 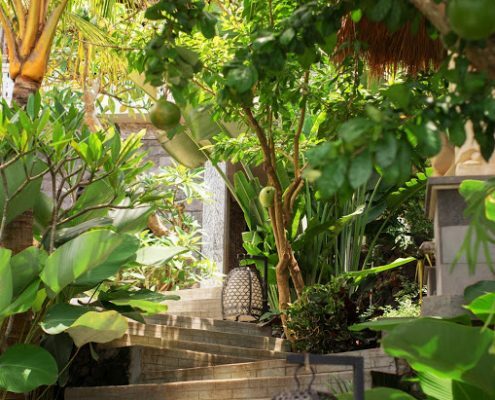 Bella Kita is a combination of Balinese culture, old Javanese rustic charm, modern influences and luxurious touches then superbly decorated in perfect harmony with the stunning nature that surrounds. 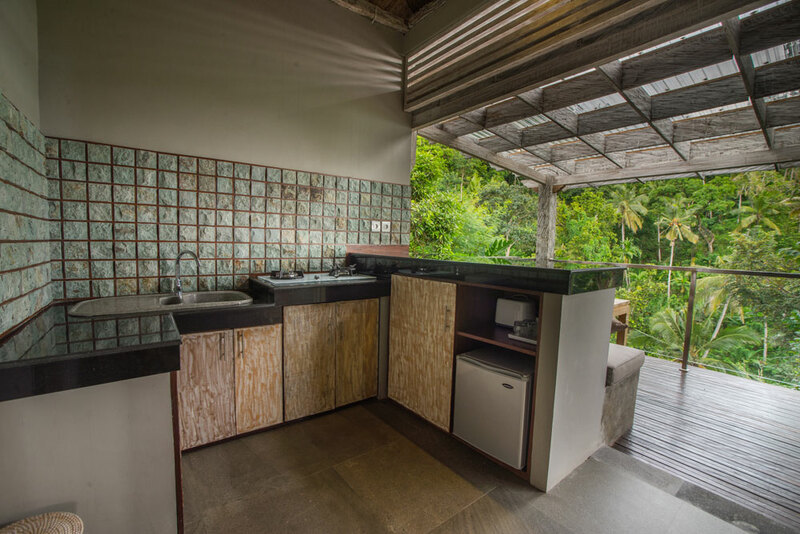 The 6 villas are traditional Joglo style houses made from 50% recycled timbers and materials architecturally re designed in a modern style providing all the comforts to spend unforgettable days of pleasure, peace and relaxation. 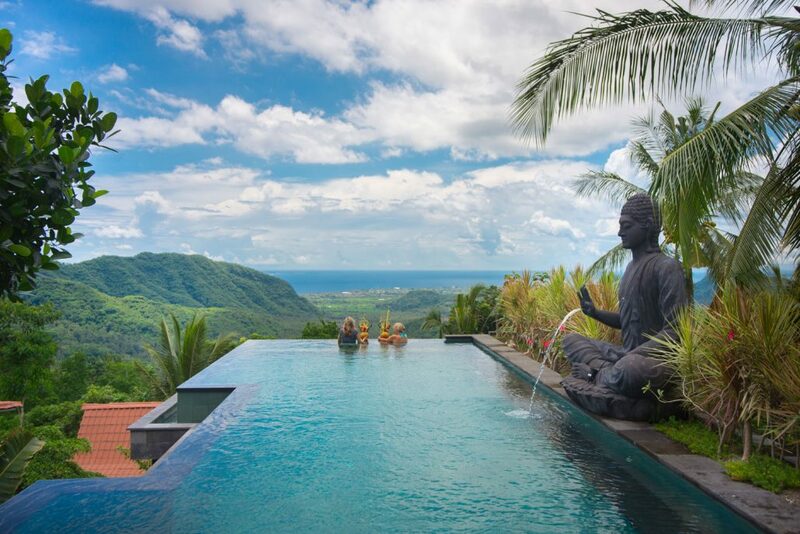 The highlight is the infinity pool with breathtaking views across the jungle, the village and the ocean across to Lembongan Island. Laze away your days in a state of dream and appreciate spectacular sunsets as a gift of the universe.